The Reggiane Company was originally set up to manufacture American designs under license. This was changed in 1936, when Count Caproni hired Robert Longhi, an Italian aircraft engineer who had considerable experience in the American aviation industry, as Chief Designer at Reggiane. In response to the Italian Air Force's request for designs for what would become the Italian Air Force's first all metal low high-powered monoplane fighter. With his experience at Seversky, Longhi created what was in essence a developed SEV-1XP, which was at the time entering service with the U.S.A.A.C. as the P-35. Longhi cleaned up the landing gear by having it rotate to lie flat in the wing, while keeping the "wet wing" design of Seversky, which gave the Re.2000 "Falco" the longest range of any European fighter design of the time. That Longhi succeeded in improving the aerodynamics of the original design is borne out by the fact that the Re.2000, despite having a lower-powered engine than the P-35 and being equipped with armor plate (which the P-35 was not), had a maximum speed of 320 m.p.h. as compared with the 284 m.p.h. of its American cousin. The Re.2000 in fact had better all around performance than either the Macchi C.200 or the Fiat G.50, which were its two opponents. However, the wing leaked fuel, due to the fact that the wing flexed in flight, which loosened the rivets. The Italian Air Ministry cancelled the order for 12 pre-production aircraft and 188 production "Falcos," though it allowed Reggiane to solicit foreign orders. 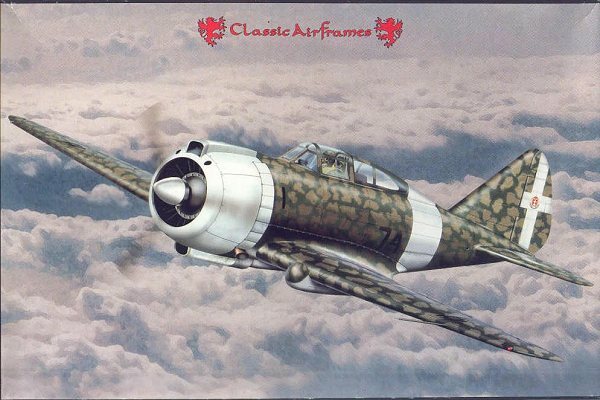 The Hungarian Air Force was first, with an order for 70 aircraft in 1939, followed by the Swedish Air Force in 1940 with an order for 60, following the embargo of the 60 P-35As the service had originally ordered. With Italy neutral at the outset of the war, even the RAF ordered 300 of the fighters in early 1940, though the order was never filled. In service, the Re.2000's engine demanded greater maintenance, and was sensitive to overheating; the machine guns also jammed frequently. The inadequately protected fuel tanks were the fighter's greatest problem, however, since a loose rivet or an incendiary bullet could turn the airplane into a fireball. Pilots universally lauded the Re.2000 for its maneuverability, range, and climb performance. The Hungarians used the Re.2000 on the Eastern Front until the fall of Stalingrad in January 1943, after which they were replaced with Bf-109s. In Sweden, the pilots were impressed with the aircraft's performance, while the ground crews noted the engine was very hard to start in the Swedish winter; they were used to intercept Allied and Axis aircraft entering Swedish airspace throughout the Second World War, during which time 16 were lost to all causes. The others were used operationally until 1955, and the sole survivor is displayed in the Swedish Air Force Museum at Linkoping. 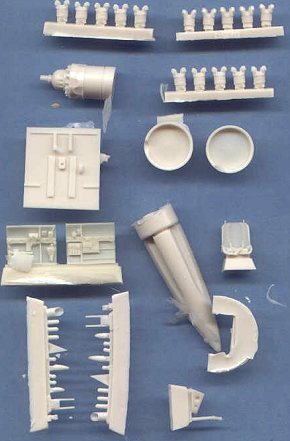 MPM, the company that produces the Classic Airframes kits, has recently started using metal molds instead of the older resin molds, and this has been very evident since the release of the Re.2001 this past summer. As regards surface detail, both the Re.2001 and Re.2000 look like Tamigawa kits. However, the kit is still a limited-run model. Ejection pins need to be removed from inner surfaces of the injection-molded parts, though this creates no difficulty with the look of the surface once the model is assembled. 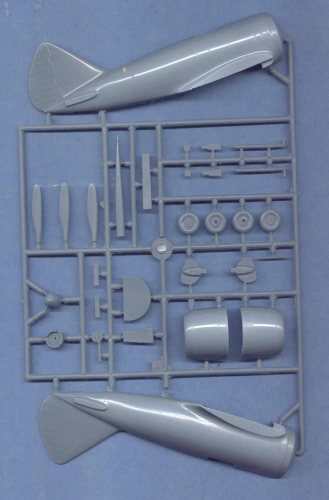 The kit comprises two sprues of crisp injection-molded parts with petite engraved surface detail, a bag of resin parts including the cockpit and engine - which comes with the trademark MPM separated cylinders. 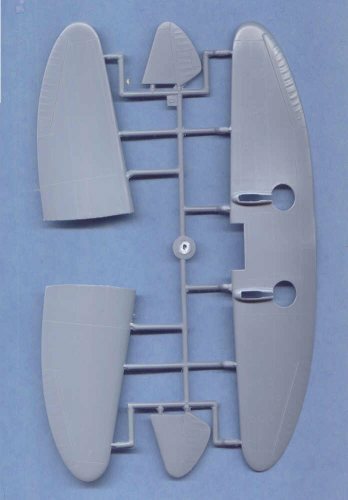 There are two very nicely molded and very clear vacuform canopies, with a resin rollover assembly to do the Re.2000 Serie III which did not have the glazed rear canopy of the Serie I.
Decals are provided for three Re.20001 Serie Is - one each Italian, Hungarian and Swedish, three Serie III aircraft used by the Italian Air Force and one Serie II, a special version that was to be used as a catapult fighter by the Italian Navy. If this is the new production standard Classic Airframes will maintain, I for one cannot wait to see the upcoming S.M.79. This one's going to the top of my to-do pile. 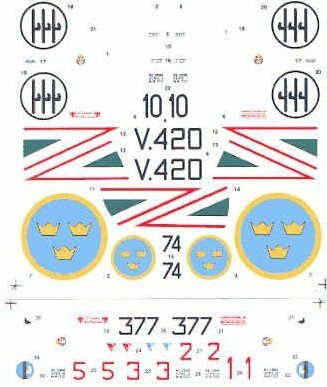 Review kit courtesy of Classic Airframes.